If you're looking for a gourmet tea gift or fine sipping Fair Trade Organic cocoa, you've come to the right place. 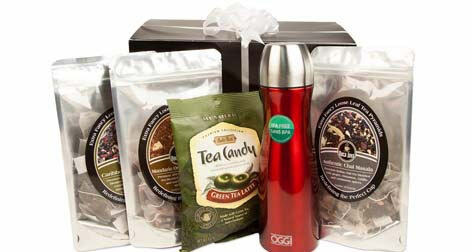 The Boca Java Gourmet Cocoa & Tea Gift collection is perfect for any tea drinker or hot cocoa lover. Our tea gifts vary by taste to ensure your recipient gets exactly what they like. We offer the following gourmet tea gifts sets: Green Tea 3-Pack, Herbal Tea 3-Pack, Black Tea 3-Pack, a variety gift set which includes one of each type of tea, plus a Coffee, Tea and Cocoa gift set.